Link Between Periodontal Disease and Erectile Dysfunction! There is a growing body of research that indicates a link between chronic periodontal disease and erectile dysfunction (ED) and the common thread appears to be related to inflammation. Journal of Sexual Medicine found that men in their thirties who had inflamed gums caused by severe periodontal disease were three times more likely to suffer from ED. A new study in the International Journal of Impotence Research suggests that ED is related to the damage caused by endothelial dysfunction and the systemic inflammatory changes associated with chronic periodontal disease (CPD). The risk of ED is related to many factors, including age, smoking, diabetes, heart disease, depression, and hypertension. So to avoid getting CPD please see your dentist and hygienist on a regular basis. Is there something about your smile that you don’t totally love? Something that you feel is keeping you from having your ideal smile? 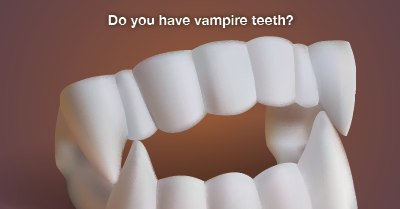 At our dental office in Austin, our patients often express their discomfort with a variety of imperfections, but one of the most common concerns we hear is regarding long, sharp canines, or “vampire” teeth. During the treatment, your dentist in Austin slowly whittles away millimeters of the surface enamel, transforming your smile immediately. This procedure can also be paired with bonding, which uses tooth-colored material to sculpt and reshape a tooth. Not only are these options beneficial for fixing the shape of your teeth, they can also be used to fixed other imperfections like chipped teeth, slightly overlapped teeth, and even crooked teeth. If you’re interested in seeing if tooth recontouring is right for you, give our Austin dental office a call. We’ll talk about what’s bothering you, some options on how we can fix it, and what the best treatment is for you to meet your goals. Don’t be afraid to show off your smile because of minor imperfections or spiky canines. Give us a call today and we’ll get you smiling in no time. Serving patients in Austin, Westlake, and Cedar Park. The foods you choose to eat can not only affect your overall well-being, they can also contribute to a healthy, or unhealthy, smile. At my dental office in Austin, we’re focused on ensuring that both your smile and your body are healthy, strong, and in the best shape possible. 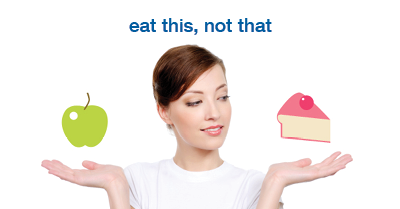 That’s why we encourage our patients to follow a well-balanced diet that’s good for both your well being and your smile. The best food choices for your grin are often the same ones that are good for your body. You should also look for selections that are high in calcium and phosphorus. Calcium and phosphorus can help protect tooth enamel since both of these nutrients aid in the remineralization process, which makes teeth stronger. Remineralization occurs when minerals that were removed by acids found in food are redeposited onto the tooth enamel. Other foods that are favorites of your Austin dentist include crunchy fruits and veggies. With their high water content, snacks such as apples, pears, and celery not only dilute sugars in the mouth, they increase the flow of saliva. Saliva helps to wash particles and bacteria away from teeth and can also decrease acidity, which could harm teeth and lead to cavities. What makes these foods dangerous to your teeth and mouth is that they contain a lot of sugar and they tend to stick on teeth, making the sugar linger around longer and increasing the chance for decay. Enjoy these in moderation and swish with water when you’re finished. Not only can what you choose to eat affect the health of your teeth and gums, how often you eat can play a large role in the difference between a healthy mouth and not-so-healthy mouth. By limiting the amount of snacking you do throughout the day, you can help keep dangerous bacteria away. Since more saliva is released during a meal than during snack sessions, bacteria has a lower chance of sticking around and causing damage. If you must snack throughout the day, make wise choices like fruits, veggies, or cheese. Even if you make good food choices for you body and mouth, keeping up with regular appointments at my Austin dental office is still really important. At these visits we’re able to thoroughly exam your mouth to monitor any potential trouble spots and treat any issues that we may find. If it’s been awhile since you’ve stopped in for a visit, give us a call to schedule your appointment today.